Free Admission, donations accepted with Gladness! 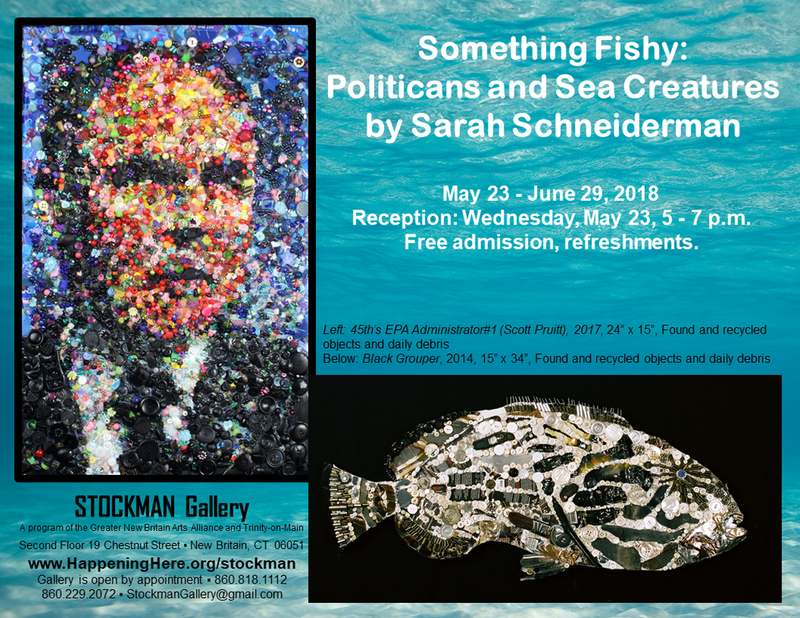 STOCKMAN Gallery is open during receptions and by appointment. Limited free parking in the Trinity-on-Main Annex lot. Metered on-street parking, free after 5 p.m. and on weekends. Reception: Friday, March 22, 5-7:30 p.m. Refreshments, free. Featuring video installations, paintings, and photographs exploring emotional responses to food invoked by adult onset allergies. Using bold color, simple shapes and scale, Antosik/Lavoie directs the attention of the viewer to some pretty bizarre food associations. Her aim is to challenge the perception of food in an obscure but playful way. Who among us does not have a complex relationship with food? Revealing the idiosyncrasies of her relationships she aims to help us uncover and explore our own. in Art Education Degree at Central Connecticut State University. 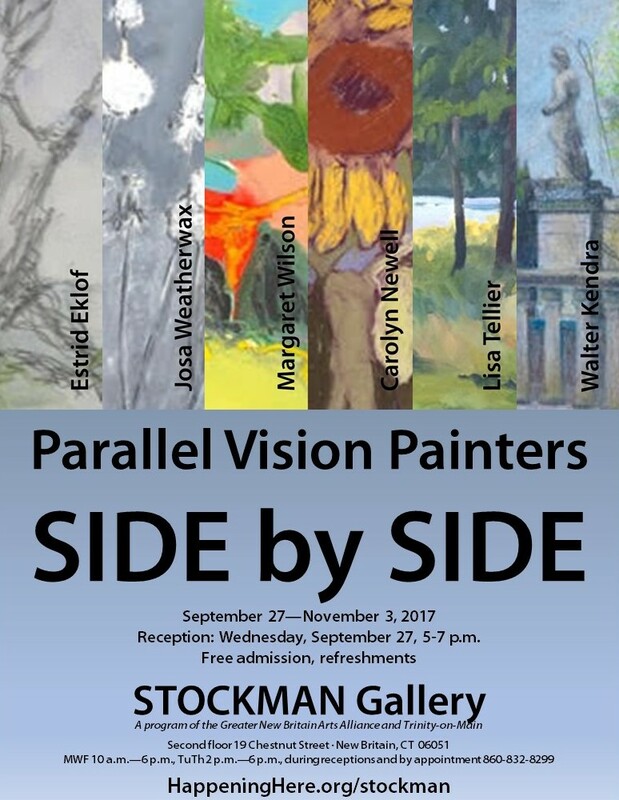 The Peace Wall Came to STOCKMAN Gallery on November 3, 2018, and raised over $1,000 for the important work of Artists for World Peace. Check out their work at https://www.artistsforworldpeace.org/. Image: 2017, Splintered, acrylic on canvas, 24" x 36"
Reception and origami demonstration Wednesday, August 23, 2017, 5-7 p.m. Featuring works by Queen Ann Nzinga Center and New Britain Public K, 1, 6, 7, 8, students.